Gréta Salóme Stefánsdóttir (born November 11, 1986 in Reykjavik) is Icelandic singer/songwriter and violinist. Music runs in the family as her mother Kristin Lilliendahl made some records in her teens, and her grandfather Karl Lilliendahl was a guitarist and renowned bandleader. She started playing violin when she was 4 years old and decided to engage in music at the age of 12. At thirteen she entered Reykjavik College of Music. In the autumn of 2004 she was accepted into the Iceland Academy of Arts. She studied in US for a year and after returning to Iceland in 2008 stated working with the Icelandic Symphony Orchestra. 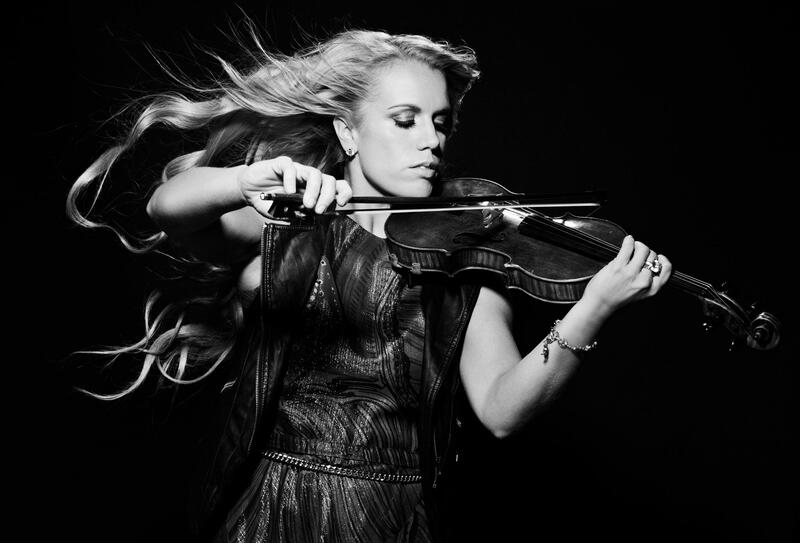 She had arranged and played violin on around 20 entries in Icelandic Eurovision preselection, and in 2012 had taken part for the first time both as songwriter (with two entries) and performer (in a duet). She represented Iceland in the Eurovision Song Contest 2012 in Baku, Azerbaijan in a duet with singer Jónsi with the song "Never Forget", finishing on 20th place in the final. 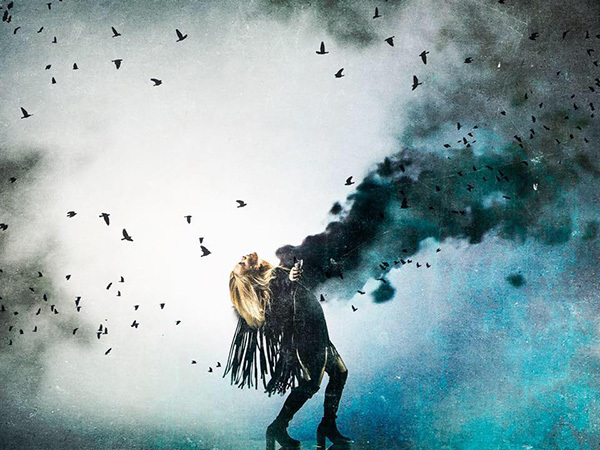 After Eurovision, on 16 November 2012, she has released her debut album "In The Silence", which in addition to "Never Forget" also featured it's Icelandic version "Mundu Eftir Mér". Further singles from the album were "Everywhere Around Me" and "If You Wanna Go". Since her last Eurovision adventure, Greta has been performing all over the world, and in 2014 she signed a contract with Disney Enterprises. The summer of 2014 she performed on Disney cruises between Florida and the Bahamas. She returned to Disney in 2015 and has been a regular performer on the Disney cruise ships, The Disney Dream and The Disney Magic, where she had her own show, "Ice! Fire! Strings", performing her own compositions as well as world famous Disney songs. In June, Greta Salóme will return to Disney for the summer cruises. Since 2015 she has been working on her next album, which will be in Icelandic. The first single from the album was "Í dag", released in March 2015. Second single "Fleyið" came out in November. Greta's hobbies include Bootcamp and making her home beautiful. Her favourite times of the year are spring and summer. Her favourite food is Christmas dinner at home, as the most important thing for her is her family. She thinks her biggest disadvantage is that she is too indecisive when it comes to the big decisions. 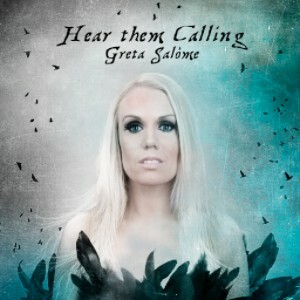 Greta Salóme will represent Iceland for the second time in the Eurovision Song Contest 2016 with her song "Hear Them Calling". The Iceland Eurovision Grand Prix was held in three parts last February, two semi-finals and a final. Greta performed the song in Icelandic in the first semi-final of the Iceland Grand Prix, where it was named "Raddirnar". She then released and performed the English version in the final. 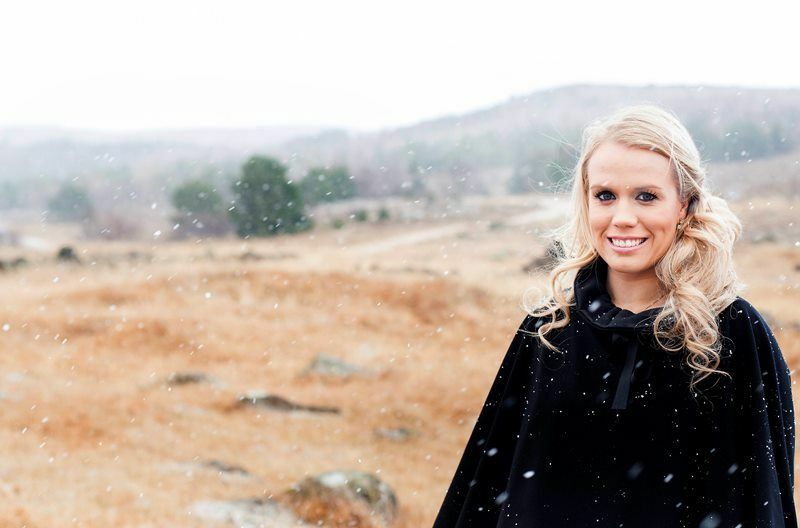 This year Greta had two songs for the competition, "Hear them Calling", and "Á ný", performed by Greta's childhood friend Elísabet Ormslev. "Eurovision is an important arena for spreading positive messages and I see it more as a concert than a contest - where we can come together and perform different music to all kinds of people", says Greta. "The song Hear Them Calling is about the voices we are surrounded by every day, positive and negative. These can be our own thoughts or the media or anything that influences us. The message of the song about listening to the positive voices because they are the ones that will lead you home. The song has interesting, unique graphics and choreography to illustrate the lyrics, originally written in English. We have created a visual background upon which a dancer and I are running, dancing, and so on. We have also videotaped our hands; these are shown in the graphics and I interact with them in the song. So really the piece is a mixture of music, choreography and visual art"
Today, April 15, Greta Salóme launched a cover competition on her Facebook page, where you can upload your version of her Eurovision song, "Hear them Calling". Participants can upload their video to an app on Greta's Facebook page until May 11, 2016. Winner is then selected with a voting system, where the vote of the jury weighs 50% to the 50% number of likes. The jury is comprised of Greta Salóme, Fridrik Omar and Yohanna who many of you may know from previous Eurovision Song Contests. The vote of the jury weighs 50% to the 50% number of likes. The winner gets a trip for two to Iceland with WOW air and a room for two nights at Hilton Reykjavík Nordica hotel. RÚV starts broadcast of it's preview show Alla leið hosted by Felix Bergsson. There will be two permanent experts in the show: Selma Björnsdóttir and Fridrik Dor Jonsson, who will be joined by one more member in each of 5 episodes of the program: Hera Björk (1), Regína (2). Show will be aired every Saturday at 19:45. Watch program: 1, 2. 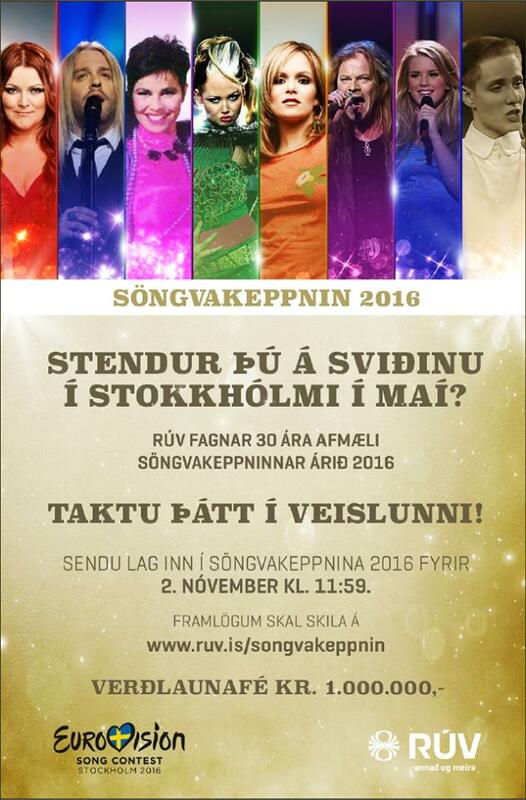 The Icelandic broadcaster, RUV, was again using the national preselection Söngvakeppnin to select entry for the Eurovision Song Contest 2016. Rules for the selection were published on 4 October, 2015. The national selection of Iceland for the Eurovision Song Contest, Söngvakeppnin, is one of the biggest TV-events in Iceland. They are celebrating its 30th Anniversary next year, "so we are diving into the preparations with big enthusiasm!" shared their broadcaster RUV. 1986 Eurovision winner Sandra Kim performed as the special guest of the final to mark 30th anniversary, joined by 2012 Eurovision winner Loreen. Páll Óskar Hjálmtýsson as well as Sturla Atlas, Logi Pedro and Unnsteinn Manuel (101 boys) made their appearance during 1st show, Högni Egilsson from band Hjaltalín and Pollapönk performed in 2nd show. Submission deadline originally set on 2 November, 2015 was extended till 9 November, 2015, noon. Everyone who has submitted song but was not selected were notified by e-mail no later than 1 December 2015. Only songwriters with an Icelandic citizenship or those with a permanent residence in Iceland between September 1st 2015 and May 15th 2016 were allowed to submit songs in Söngvakeppnin 2016. However, Icelandic songwriters were allowed to co-write songs and lyrics with non-Icelandic songwriters in such way that two thirds (2/3) of the song and one half (1/2) of the lyrics must be by Icelandic composers/lyricists. Each composer could have send a maximum of two songs in the race. RUV encouraged writers of both sexes to participate in the race and is committed to looking for ways to ensure the most egalitarian gender balance in the contest. RUV has the final decision on the choice of performers, the production of television shows, design of the promotional material, planning, staging and presentation elements. This includes for example appointment of the musicians, staging, costumes, stage props, lighting etc. The competing entries should not be presented to public in any way until the official presentation date. All songs in the Semi-Finals must be performed in Icelandic and the Icelandic lyrics must be attached when submitting the song. However, in the Grand Final all the competing songs must be performed in the language that the artist intends to perform the song in ESC 16 in Sweden if he wins Söngvakeppnin. Such language choice should be indicated at least 2 weeks before the start of the televised part of the preselection. Eventually, only one out of six entries in the national final to select the Icelandic entry for the Eurovision song contest was in the national language of Icelandic. Organizers of the contest appointed a seven-member selection committee in consultation with the FTT (Association of Composers) and FIH (Icelandic Musicians' Union) to select the songs qualifying to the televised competition. Preselection jury was listening to the songs under aliases, not knowing real names of songwriters or performers. 260 entries were received, narrowed down to 12 semifinalists. The final song mixes had to be submitted to RÚV by January 11th. Presentation of the songs took place on 15 January during programmes of Rás 2 radio Virkir morgnar at 9:05 local (10:05 CET) and Poppland at 12:45 local (13:45 CET). Competing artists were taking part in snapchat (ruvsnap account) on the following schedule. Söngvakeppnin 2016 was held in the form of three live TV-shows; Two Semi-Finals on February 6th and 13th in Háskólabíó Conference and Cultural Center and Grand Final on February 20th 2016 in sports hall Laugardalshöll. 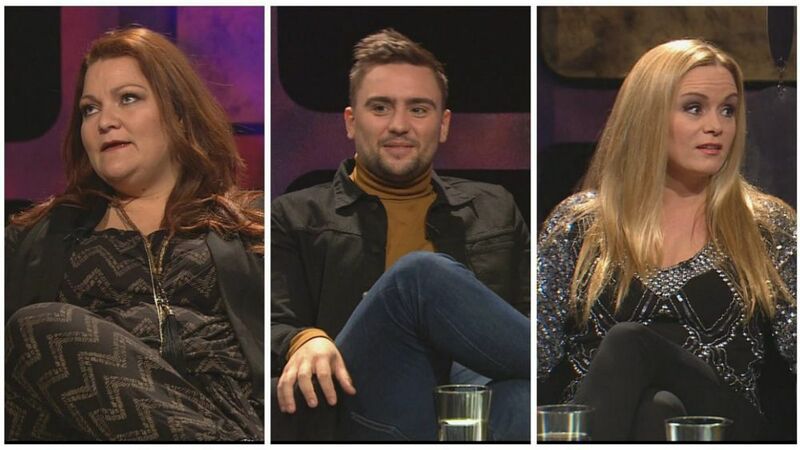 Shows were be hosted byt Ragnhildur Steinunn Jónsdóttir and Guðrún Dís Emilsdóttir. Six songs competed in each Semi-Final, whereof three continued to the Grand Final selected by public televoting. Listen to the final versions of the entries here. A total of six songs therefore competed in the Grand Final, a special Jury had the power to choose a seventh "Wildcard" to go through to the Grand Final, but opted not to use it's right. In the national final top 2 entries were chosen by combination of 5 member professional jury vote and televoting, and in superfinal public solely determined which song won. 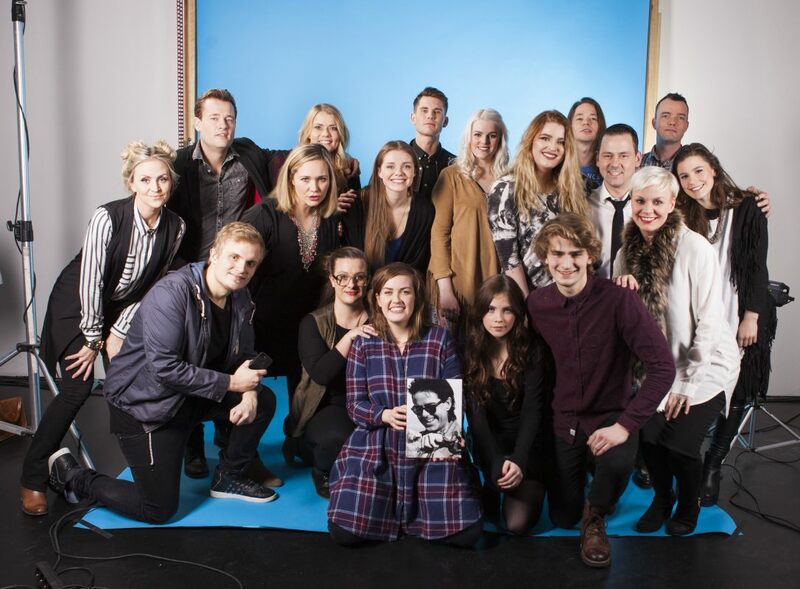 Songwriters of the winning entry received 1 mln Icelandic króna (7100 Euro) prize. Грета Саломе Стефансдоттир (родилась 11го ноября 1986 года в Рейкьявике) - исландская певица, автор песен и скрипачка. Музыка с детства была частью ее семьи, поскольку ее мать Кристин Лилиендаль в подростковом возрасте выпустила несколько записей, а дедушка - Карл Лилиендаль был гитаристом и лидером группы. Она начала играть на скрипке в возрасте 4х лет и решила полностью посвятить себя музыке, когда ей было 12. В тринадцать лет она поступила в рейкьявикский музыкальный колледж. Осенью 2004 года она начала обучение в Исландской художественной академии. В течение года она училась в США, а по возвращению в Исландию в 2008 году начала работать в Исландском Симфоническом Оркестре. Хотя она играла на скрипке в около 20 песнях исландских отборов на Евровидение, лишь в 2012 году она впервые подала заявку на участие в нем как автор (с двумя композициями) и как исполнительница (в дуэте). Грета Саломе представляла Исландию на Евровидении в Баку, Азербайджан в дуэте с певцом Йонси и песней "Never Forget", заняв 20е место в финале. После Евровидения, 16го ноября 2012 года, она выпустила свой дебютный альбом "In The Silence", в который помимо "Never Forget" также вошла и ее исландская версия "Mundu Eftir Mér". Последующими синглами с альбома стали "Everywhere Around Me" и "If You Wanna Go". После Евровидения, Грета выступала по всему миру, а в 2014 году певица заключила контракт со студией Дисней. Летом 2014 года она выступала на круизных кораблях Disney между Флоридой и Багамами. Она вернулась к выступлениям на них и в 2015 году, сначала на Disney Dream, а затем со своим собственным шоу "Ice! Fire! Strings!" на борту круизного лайнера Disney Magic, где исполняла как свои песни, так и песни из фильмов Диснея. В июне 2016 года Грета Саломе вновь вернется к выступлениям на летних круизах. С 2015 года Грета работает над новым альбомом, который будет на исландском языке. В марте 2015 вышел первый сингл с него - песня "Í dag", а в ноябре - второй трек - "Fleyið". Хобби Греты включают участие в Bootcamp, и украшение ее дома. Любимые времена года певицы - весна и лето. Любимая еда - рождественский обед дома, потому что самое важное для нее в жизни - это семья. Своим самым большим недостатком она считает свою нерешительность, когда приходит время для принятия важных решений. Грета Саломе второй раз представит Исландию на Евровидении 2016 с песней "Hear Them Calling". Исландский национальный отбор прошел в два этапа в феврале, и включал в себя два полуфинала и финал. В полуфинале Грета исполнила исландскую версию композиции - "Raddirnar". Затем она выпустила и исполнила в финале английскую версию песни. В конкурсе у Греты принимали участие две композиции, помимо "Hear Them Calling", это и "Á ný", исполненная подругой детства Греты Элизабет Ормслев. "Евровидение - важная арена для распространения позитивного месседжа, и я рассматриваю его скорее как концерт, нежели как конкурс - где мы можем все объединиться и исполнить для зрителей различные виды музыки", говорит Грета. "Моя песня Hear Them Calling - рассказывает о тех голосах, которые окружают нас каждый день, позитивных или негативных. Это могут быть наши собственные мысли, или статьи в прессе, или что-то, что еще влияет на нас. Месседж песни состоит в том, что нужно прислушиваться к позитивным голосам, потому что именно они укажут путь домой. Песня имеет очень интересную, уникальную графику и хореографию, которые должн продемонстрировать текст песни, изначально написанный на английском языке. Мы создали задний фон, на котором танцор и я бежим, танцуем и так далее. Мы также сняли на видео наши руки, их будут показывать графические экраны и я буду взаимодействовать с ними в песне. Так что, это - смесь музыки, хореографии и визуального искусства"
Сегодня, 15го апреля, Грета Саломе открыла на своей странице в Facebook конкурс кавер-версий на ее песню "Hear Them Calling". Участники могут загрузить видео своего исполнения песни на специальную страницу в Facebook до 11го мая 2016 года. Победитель будет определен по системе голосования 50/50 учитывая мнение профессионального жюри и количество лайков, собранных той или иной версией. В жюри войдут участники Евровидения от Исландии Грета Саломе, Фридрик Омар и Йоханна. Победитель получит поездку на двух человек в Исландию, предоставленную компанией WOW air и комнату на двоих на две ночи в отеле Hilton Reykjavík Nordica. Телекомпания RÚV начинает серию эфиров превью-шоу Alla leið с ведущим Феликсом Бергссоном. В шоу примут участие два постоянных эксперта: Selma Björnsdóttir и Fridrik Dor Jonsson, к которым в каждом выпуске будет присоединяться еще один член: Hera Björk (1), Regína (2). Пять выпусков шоу будут выходить по субботам в 19:45. Смотрите программу: 1, 2. Представительница Исландии Грета Саломе сегодня опубликовала окончательную версию своей конкурсной песни Hear Them Calling. Это уже третья версия песни с английским текстом, помимо первоначального варианта с исландским текстом. В финальной версии добавлено звучание скрипок и электро-баса, а также дополнительный бэк-вокал. "Мы работали день и ночь над этой финальной версией. Торвалдур Бьярни, который спродюсировал Never forget и All out of luck, записали песню с Симфоническим оркестром Северной Исландии, что значительно улучшило ее звучание. Потом мы переработали вокалы, а также я записала несколько скрипичных импровизаций, которые мы использовали, потому, хотя на сцене на этот раз я буду и без скрипки, она все равно будет присутствовать в моей аранжировке. Затем над треком работал известный британский продюсер Эш Хоус, который работал со многими известными артистами современности, как One Direction, Элли Голдинг и Кайли Миноуг. Он написал хит Элли Голдинг Lights. С ним продакшен песни еще повысил свой уровень, что и дало результат в финальной версии Hear Them Calling. Мне кажется, что у нас вышла отличная смесь инди с современным фолк-попом, с симфоническими элементами и танцевальным битом", объясняет Грета. Исландский национальный вещатель RUV вновь использовал национальный отбор Söngvakeppnin для выбора своего представителя на конкурс песни Евровидение 2016. Правила отбора были опубликованы 4го октября 2015 года. Söngvakeppnin - одно из крупнейших шоу на исландском телевидении, в этом году оно отмечает 30-летие, и потому вещатель RUV говорит: "мы ныряем в подготовку с большим энтузиазмом!". Победительница Евровидения 1986 Сандра Ким, в честь тридцатилетия, и победительница 2012 года Лорен выступили гостями финала национального отбора. Páll Óskar Hjálmtýsson, а также Sturla Atlas, Logi Pedro и Unnsteinn Manuel (101 boys) выступили в первом шоу, Högni Egilsson из группы Hjaltalín и Pollapönk выступили во втором шоу. Крайний срок приема заявок был первоначально установлен на 2 ноября 2015, но в итоге был продлен до 9 ноября. Все, кто подал заявку, но не был выбран для участия в отборе, были уведомлены по e-mail не позднее 1го декабря. К подаче песен на Söngvakeppnin 2016 допускались только авторы, имеющие исландское гражданство или постоянно проживающие в Исландии с 1 сентября 2015 по 15 мая 2016 года. Однако, они имели право сотрудничества с зарубежными авторами, при том, что 2/3 песни и 1/2 ее текста должны быть написаны исландскими авторами. Каждый композитор мог заявить для участия в конкурсе не более двух песен. RUV призывало авторов обоих полов принимать участие в отборе, и было нацелено на соблюдение эгалитарного гендерного баланса в конкурсе. За телеканалом RUV остается последнее слово по вопросам подбора исполнителей, производства телевизионных шоу, дизайна промоционных материалов, планирования, элементов постановки и презентации. Это включает в себя, например, подбор музыкантов, постановку номеров, костюмы, декорации, свет и пр. Участвующие песни не должны быть представлены публике в каком бы то ни было виде до официальной даты презентации. Все песни в полуфиналах должны исполняться на исландском языке, и при подаче к песне должен быть приложен исландский текст. Однако, в финале национального отбора песни должны исполняться на том языке, на каком исполнитель планирует выступить на международном конкурсе в Швеции в случае его победы на Söngvakeppnin. Выбор языка для исполнения в финале должен быть обозначен по меньшей мере за две недели до начала телевизионной стадии отбора. В итоге, в финале национального отбора только одна песня прозвучала на исландском языке. Организаторы конкурса назначили отборочное жюри из семи членов, созванное в консультации с FTT (Ассоциацией композиторов) и FIH (Союзом Исландских музыкантов) для отбора песен, которые пройдут в стадию телевизионных эфиров. Отборочное жюри заслушало конкурсантов под псевдонимами, не зная при этом настоящие имена участников или исполнителей. Всего было получено 260 заявок, из которых в итоге были выбраны 12 полуфиналистов. Окончательные версии песен должны были быть заявлены на канал RÚV до 11 января. Презентация песен прошла 15го января во время программ радиостанции Rás 2 Virkir morgnar в 9:05 местного времени (12.05 Москвы) и Poppland в 12:45 местного времени (15:45 Москвы). Участники конкурса становились гостями snapchat (аккаунт ruvsnap) по следующему расписанию. Söngvakeppnin 2016 был проведен в форме трех шоу, выходящих в прямом телеэфире: два полуфинала 6 и 13 февраля из конференц-центра Háskólabíó и финал 20 февраля 2016 года из спортивного зала Laugardalshöll. Ведущие шоу: Ragnhildur Steinunn Jónsdóttir и Guðrún Dís Emilsdóttir. По шесть песен выступили в каждом полуфинале и по 3 из них, выбранные голосованием телезрителей, проходили в финал отбора. Таким образом, количество финалистов составило шесть, специальное жюри имело право выбрать седьмого финалиста для участия в финале в качестве "вайлдкард", но решило не воспользоваться им. Финальные версии песен можно прослушать здесь. В финале национального отбора две лучшие песни были выбраны смесью голосования профессионального жюри из 5 членов и телеголосования, а в суперфинале уже только телезрители определили победителя отбора. Авторы песни-победительницы получили приз в размере 1 млн исландских крон (7100 евро). They're singing: "Now we are coming home"
Singing: "Now we are coming home"
og þeir skríða á eftir mér. Ó leiðið okkur að lokum heim. leiðið okkur að lokum heim. Они поют, "Сейчас мы возвращаемся домой"
Поют, "Сейчас мы возвращаемся домой"